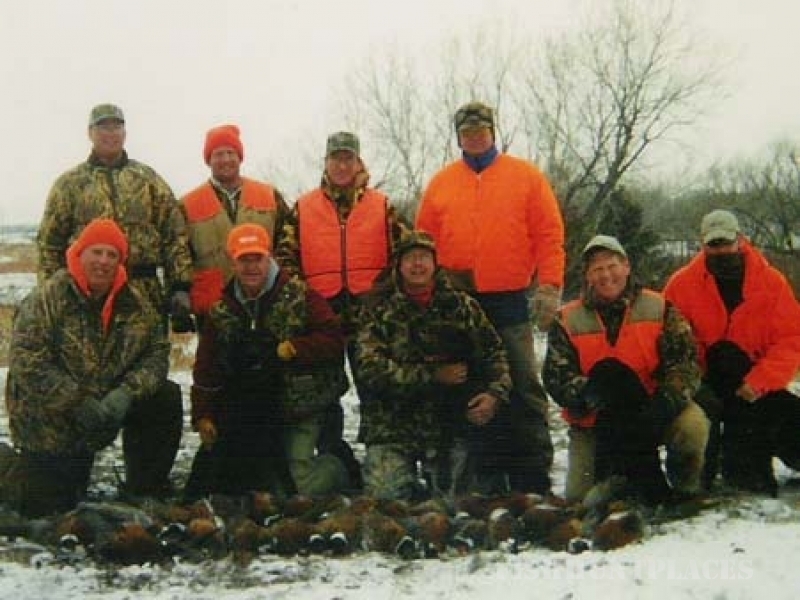 South Dakota, the pheasant hunting capitol of the world. Let us be your guide to some of the most beautiful and productive bird hunts in the nation. 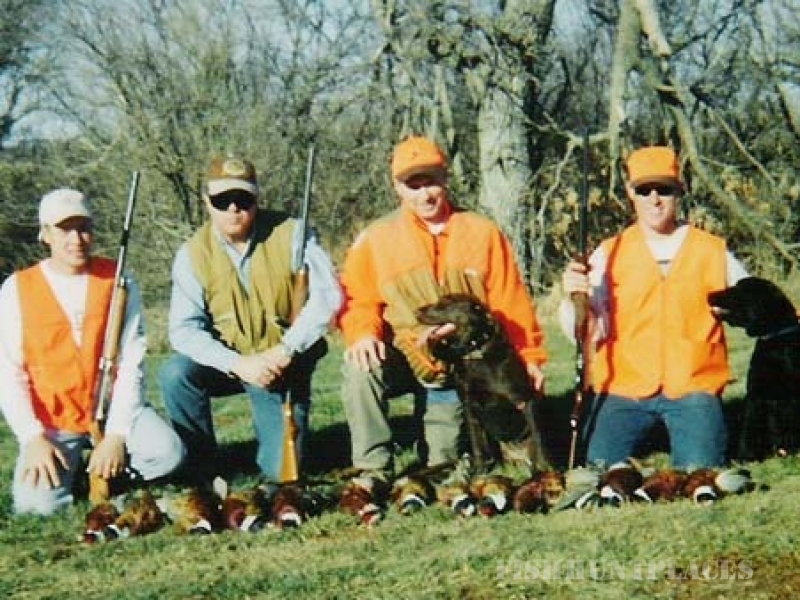 Our experienced guides and dogs lead you on the adrenaline-pumping action of a wild bird hunt. We have ring-neck pheasant, quail, dove, partridge, and ducks. Deer, coyote, fox, and turkeys are often viewed on the property. Let us take care of all your needs. We cater to every level of hunter from the absolute novice to the advanced outdoorsman. We will willingly guide you on your hunt or just give you a point in the right direction. You are welcome to bring your own dog, or we will guide you with our own trained bird dogs. 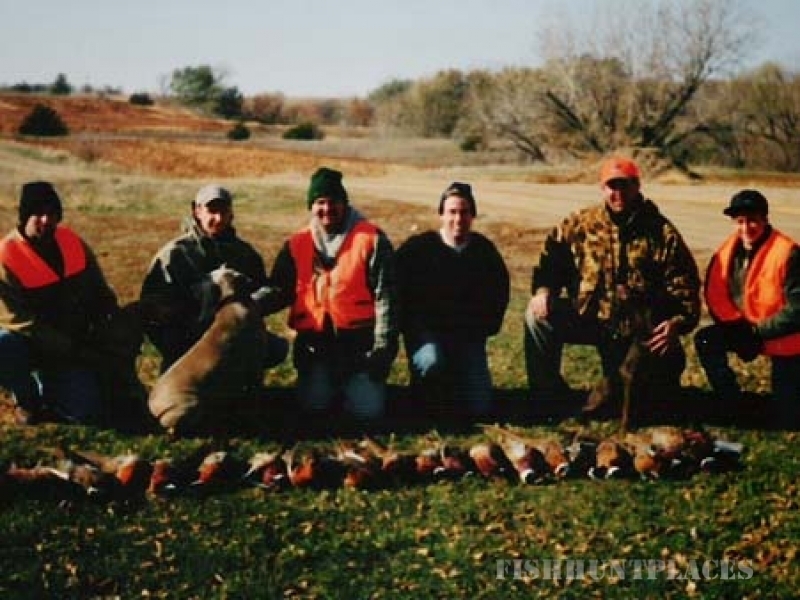 Please take a look at the various hunting packages we have to offer or call us to create a custom hunting trip for you and your party. 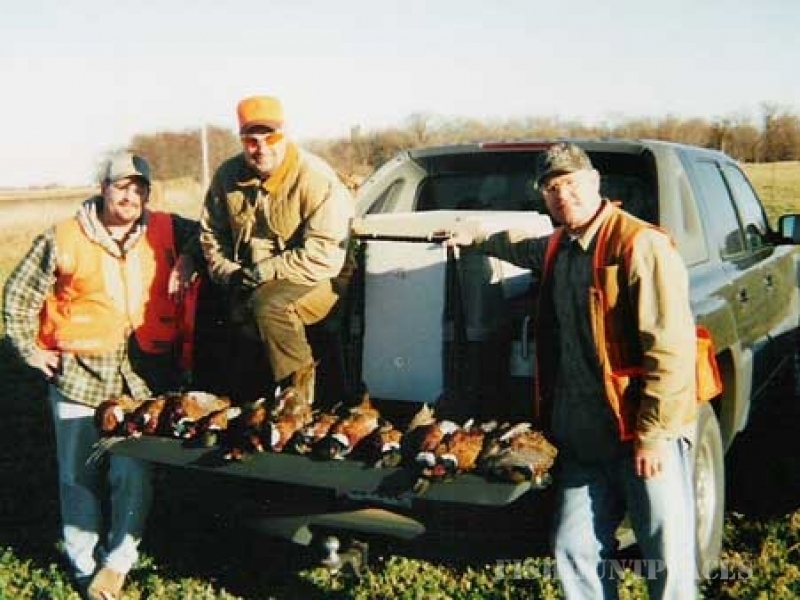 Our goal is to provide you with a private hunt where you know the people you are hunting with, whether you are by yourself, with co-workers, or family. This enables you to feel safe, more relaxed, and get away from the pressure of other larger commercial outfitters. We have a very relaxed atmosphere and everyone tells us they feel like part of our family during their stay.